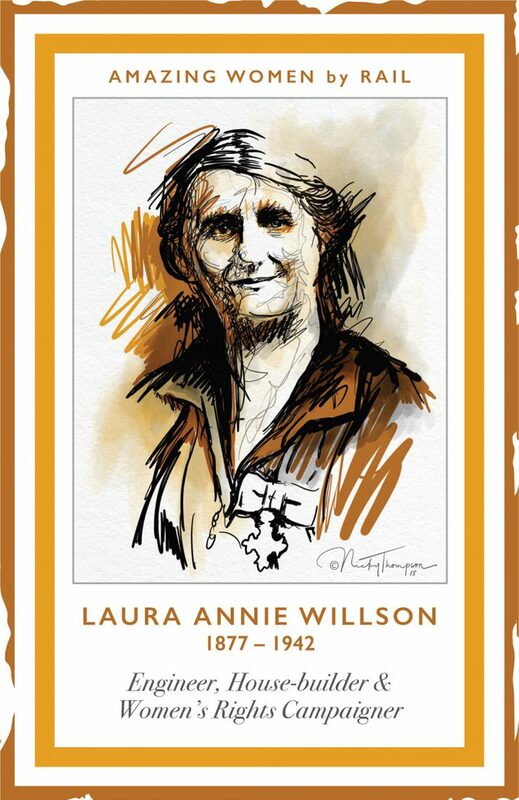 Laura Ann Willson MBE (1877-1942) was an engineer; housebuilder; women’s rights campaigner. Laura was born in Halifax and started work at the age of ten in a local textile factory. In 1899 she married George Henry Willson, a machine tool maker. Laura became involved in the trade union movement and the fight for women’s suffrage. She was imprisoned in 1907 after taking part in a weavers’ strike. During the First World War Laura was manager of the women’s section of her husband’s factory. In 1919 she co-founded the Women’s Engineering Society and went on to become the first woman member of the Federation of House Builders.